Good news! 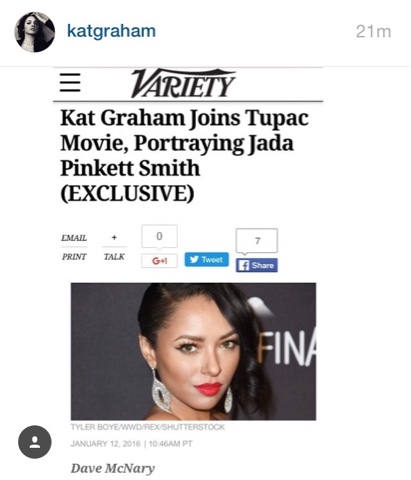 Kat Graham has been cast in a role in the upcoming Tupac Shakur movie. Graham posted a screen shot on her Instagram of the Variety article that broke the story. This is a very cool development. It makes sense. Graham could totally pull off an on-screen version of a young Jada Pinkett Smith. This, with the casting of Danai Gurira as Tupac's mother are making this movie very appealing. I've been a fan of Kat Graham since she started Vampire Diaries and this kind of high profile film role could take her career to the next level. More starring roles!